Motorsport channel Motors TV has abruptly ceased broadcasting in the UK and Ireland and is no longer available on Sky and Virgin Media. Unlike earlier in the year, when the channel was temporarily removed from the Sky EPG, the channel has also ceased to be uplinked to the Astra 2G satellite, meaning there is no outlet for viewers in the British Isles. Social media feeds abruptly ceased to be updated today (5th July), with no further information about the channel. 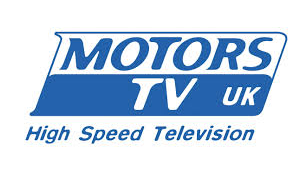 Motors TV is based in France, from where it holds licences to broadcast in other countries via cable and satellite. Motors TV France is still reported as being on-air. But the parent company has gone into a safeguarding procedure, which has aspects similar to a Company Voluntary Agreement in the UK that gives the company time to restructure its debt with creditors while it continues trading. The company that owned UK shopping channel Bid TV went through a similar process in the month up to its closure, in a failed attempt to keep the service running.